Top 3 Hottest Swimwear Trends for 2018 — Wish Supply Co.
Summertime means it’s time to head back to the beach! Of course, you’ll want to go looking your very best, so having a new swimsuit will help. Racks in the department stores and sporting goods shops will be filled with perhaps hundreds of swimsuit choices. How do you narrow it down? This is a time when knowing what’s in style will help you make your decision. So, here are three ideas among the trending styles of women’s swimsuits that will guide you in not only being in style but also in looking your best in the style you choose! The one-piece has been updated this year in so many different styles, you’ll wonder if you should choose more than one for your water-front wardrobe. Offering more skin coverage – in most cases – you’ll find an awesome collection of one-pieces featuring plunging necklines and/or backlines, lace-up sides or mid-sections, and halter-style straps. Others present the classic V-neck, retro look square-neck, lace or mesh inserts between panels, cut-outs, and print patterns such as gingham, floral, leopard, and graphic images. Note that while a one-piece may cover more of your top, high-leg openings (also known as French cut) or Bay Watch style are also the trend this summer. Bold blocks of color and simple solid patterns will add some drama to your swimwear. Depending on their distinct patterns, color blocked designs can help to accent your figure or help you appear to be taller. Others are simply designed for summer fun with asymmetrical coloring, accented straps and edges, or contrasting tops and bottoms. The best thing about color blocking is that you will find it not only as one of many one-piece swimsuit designs this season, but you will also find two-pieces and bikinis boasting color blocked patterns. With all of these options, go bold! Go with color blocking! Be the life of the party with fun bright stripes this summer! This look puts a twist on the classic pattern you know and love. Everything from bold colors to black and white, from vertical to horizontal, candy stripes to tiger stripes, and banded to pinstriped looks are available this year. Whichever design you choose, you’ll be swimming – and sun tanning – in style wearing stripes. Pair your choice with a simple solid-colored cover up and you are ready for your shore-side adventure! Whether you choose a one-piece, color-blocked, or striped fashion to wear to the beach, you’ll be confident you’re going there in style and looking your best! 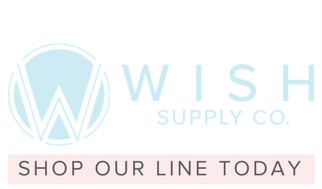 And be sure to carry all your beach and tanning supplies along with you in a stylish bag from Wish Supply Co. (WSC). WSC is an accessories brand specializing in leather goods infused with positive energy and an emphasis on giving back. Our high-quality leather products are clean, sleek, classy and create a staple for any wardrobe. Every bag is debossed with the WSC message: Good Things Are Happening.